This situation is usually caused by gardeners fertilizing heavily at the drip line. 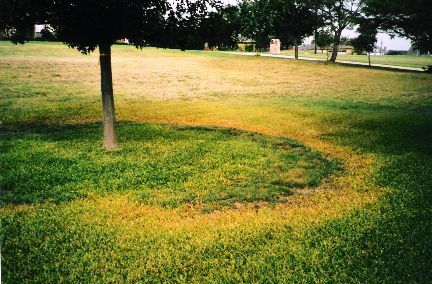 It is also most common when synthetic fertilizers have been used. Trees should be fertilized just like any other plant - not at all. The soil should be fertilized evenly across the entire area and then the healthy soil feeds the microbes and the microbes feed the plant roots.